Bring on the new science fiction and fantasy! As we head into 2014 we have lots of fall favorites returning for the second half of the broadcast season, plus new mid-season arrivals and a big batch of cable shows to add to the mix of what we cover here at SciFi Stream each and every week. After a relatively quiet fall season, cable is ready to roar with a batch of new and returning shows. Syfy is staking its claim to Monday nights with a 3-hour block of scripted genre fare. MTV is extending its summer show Teen Wolf into the winter months. But it’s AMC who will continue to rule the ratings when The Walking Dead shuffles back in February. Gone are the days of the old “mid-season” when new shows would start roughly around the same time. Between cable and broadcast television, this year we have new and returning shows rolling out every month. Today we’re just looking at shows set to air in January, February, and March. But April will also bring back favorites like Game of Thrones, Orphan Black, and possibly Continuum — so stay tuned for our Spring Viewer’s Guide. FOX’s new futuristic buddy cop show is just getting starting, and will return with new episodes and more cases for Detective Kennex and Dorian on January 6. The show has been solid so far, though far from amazing. Now that we are getting used to the world and the characters, executive producer J.H. Wyman and his team need to kick a story arc into high gear. Almost Human needs to be more like Fringe and less like Starsky & Hutch. Season Four has been airing for several weeks up in Canada, and arrives on U.S. screens this month. Bo returns to find that the lines between Dark and Light Fae are blurred, prompting her to embark on a new journey of discovery. NEW SERIES: When the Atrians arrived on Earth they were immediately rounded up and placed into a new alien sector — a reservation, for all intents and purposes. Now it’s 10 years later, and a select group of Atrian teenagers have been selected to attend a regular, suburban high school as part of a long-term intergration project. Expect lots of angst, beautiful people, and human-alien romance. But because it is clear science fiction (and not more vampires, werewolves, or succubi), we’re looking forward to seeing how this story plays out. 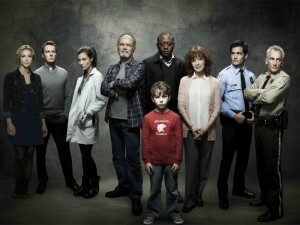 This fall series is in the process of wrapping up, with just three episodes left to air. 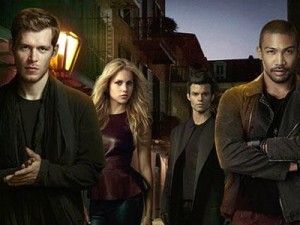 The show is back January 13, has a 2-hour finale on the 20th, and then will be back for a second season in the fall. It’s been a fun, wild ride, with a great pairing of its lead actors and a balls-to-the-wall mythology that shows how much this show knows exactly what it is. 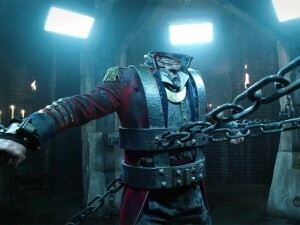 But we also can’t help thinking that it would be easy for Sleepy Hollow to wear out its welcome; sticking with 13 episodes a year was probably a wise decision for FOX. The U.K. original may be over, but the U.S. remake is back for its fourth season and still going strong! 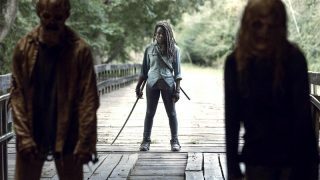 Season Three averaged 1.8 million viewers. The new season will include another 13 episodes for vampire Aidan, ghost Sally, and werewolves Josh (poor Josh …) and Nora. The season premiere episode picks up three weeks after saving the lives of their parents, Scott, Stiles and Allison begin to suffer strange side effects from their ritual sacrifice. At the same time, the newly enlightened Sheriff Stilinski scours through old cases, reassessing whether each could have had supernatural causes. The show will also be joined by a new companion talk show, Wolf Watch, which will air after each new episode and be hosted by Jill Wagner. 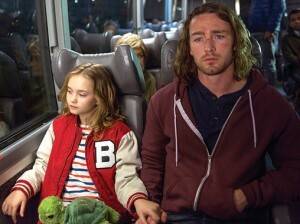 NEW SERIES: Joining Syfy’s Monday night line-up is new Canadian import Bitten. Laura Vandervoort (V, Smallville) stars as Elena, the world’s only female werewolf. She has tried to make a life for herself as a photographer, but a murder brings her back to her ancestral home — where she must choose between her new life and loyalty to her pack. We’ve enjoyed ABC’s new superhero show, for the most part. While a few episodes have been uneven and downright formulaic, others have shown real promise. This is evidently going to be the sort of show that needs to build its world and its roster of characters. Here’s hoping that it will also start to take more chances. 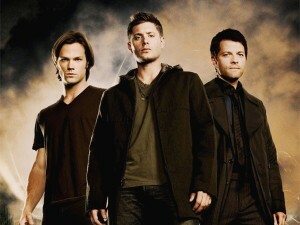 Supernatural is still going strong in its ninth season, turning in solid ratings for The CW. It’s far and away the network’s most veteran series, and The CW is no doubt seriously considering a tenth season. It’s also lining up a potential spin-off, with episode 20 this spring serving as a backdoor pilot. 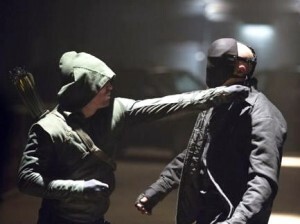 In the first half of the season Arrow has solidified itself as a power player for The CW, with more than one episode topping the netlet’s magical 3 million viewer mark. Oliver Queen doesn’t just want to be a nameless vigilante any more: he’s trying to be the hero that Starling City needs so badly. The show is also expanding by introducing Barry Allen (a.k.a. the Flash), who will get a pilot this spring for a potential spin-off series. NEW SERIES: In the future, the Earth has been decimated by a nuclear holocaust. But it is now a century since humans left the surface to live aboard an orbiting space station, and their leaders want to test the viability of returning. To check things out they send not the best and the brightest, but the most expendible: a group of juvenile delinquents, who will have to survive not just the dangers of the earth but also one another. The 100 looks like one of the most promising science fiction shows of 2014, and we can’t wait till it starts. Vampires! Diaries! Betrayal! 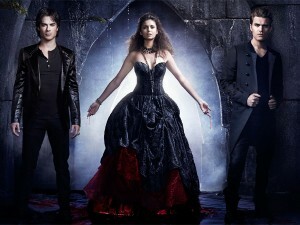 The series is still going strong as one of The CW’s leaders. Expect it to be around for a long time yet. 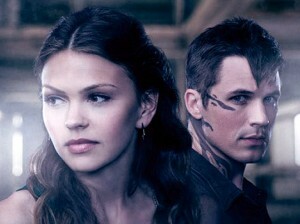 ONCE UPON A TIME IN WONDERLAND will return on March 6. 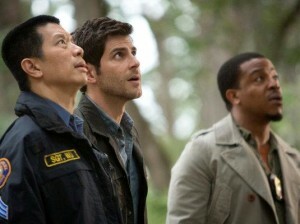 Nick and Hank continue to chase bad guys and expose monsters as Grimm blazes through its third season. This show has really found its feet and now anchors a genre-themed Friday night for NBC. We wouldn’t expect it to go anywhere any time soon. NEW SERIES: A group of C.D.C. scientists travel to a remote, Arctic outpost to investigate the potential outbreak of a deadly pathogen — one that could alter life on Earth as we know it. 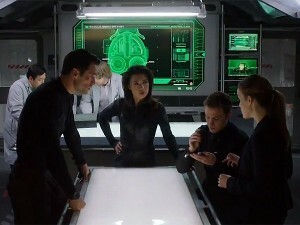 Ronald D. Moore (Battlestar Galactica) serves as an executive producer on Syfy’s new high-concept thriller, which promises to be one of the highest-profile sci-fi premieres of 2014. This is one you won’t want to miss. Atlantis follows Jason, Pythagoras, and Hercules in their encounters with the legends of Greek mythology and their adventures throughout the legendary land of Atlantis. Despite the low, low ratings (about a quarter of a million people each week) BBC America seems to be happy with the fantasy drama, having picked up Season Two after just one episode. The finale just aired in the U.K., and should reach our shores in February. There’s no place to hide from the hordes of the dead. 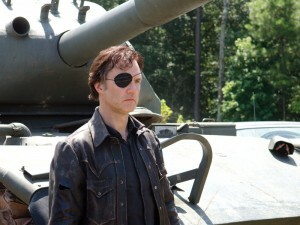 In the explosive mid-season finale the Governor returned to exact his revenge on Rick, Michonne, and the others, beheading a favorite character and using a tank to blow the prison to hell. Our survivors are wounded and scattered, and we’re still getting used to all the new faces. Eight more episodes remain this season. ONCE UPON A TIME will return on March 9. This season has been way ahead of Season Two in our books, and that cliffhanger … that cliffhanger! Can’t wait for the show to return and see where we go from here. NEW SERIES: When an 8-year-old American boy is found in a rural Chinese province he is returned home to Arcadia, Missouri by J. Martin Bellamy (Omar Epps). But this homecoming is truly strange, as the boy’s aged parents report that their son died 30 years earlier. 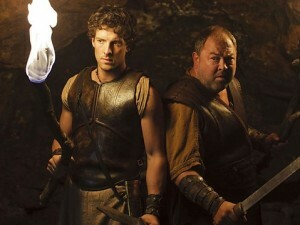 And it seems as though young Jacob is not the only deceased family member returning home to Arcadia without explanation. NEW SERIES: A former death row inmate is charged with protecting a young girl, Bo, who possesses extraordinary abilities and is being hunted by those who seek to use her for their own interests. 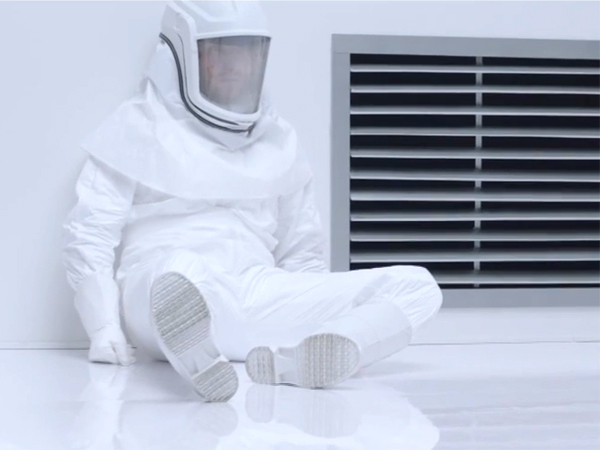 Believe looks very cool, and has none other than Alfonso Cuarón (Gravity) on its list of executive producers. The show is expected to begin in March, after the Winter Olympics have concluded on NBC — but the network hasn’t announced a date yet. Which shows will you be checking out?